In this follow-up to “Growth-plate injuries: A diagnostic challenge,” (May, page 15) we continue our look at physeal trauma, exploring growth-plate issues in anterior cruciate ligament reconstruction, and further examining these injuries’ impact on the knees, ankles, and feet of youth athletes. The proposed association between obesity and pediatric flexible flatfoot (PFF) may depend more on the reliance on subjective, 2D footprint-based assessments than true correlation. And recent research has identified another potential risk factor, whole body and joint hypermobility. 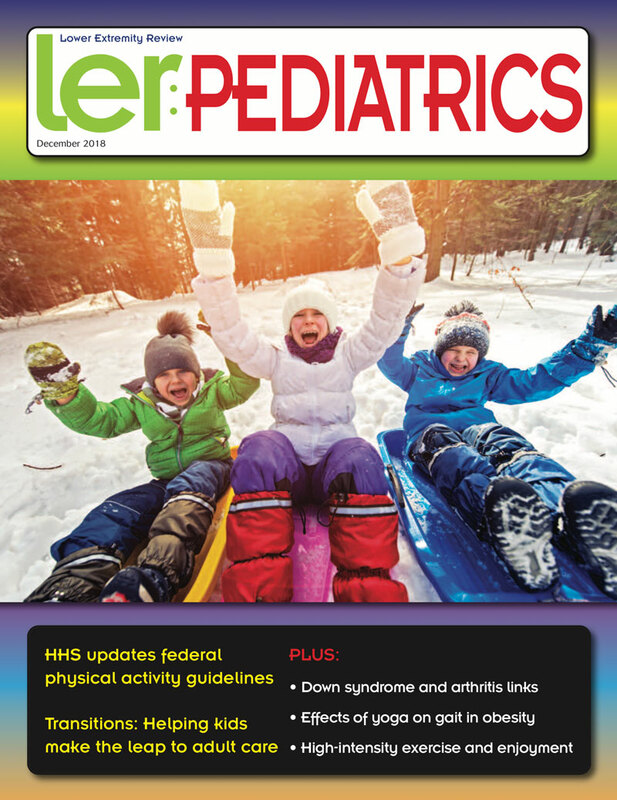 O&P practitioners are working with recreational therapists to open doors to leisure activities for kids with lower extremity issues and other disabilities. By expanding their playtime experiences and skills, kids can boost their physical activity, mobility, self-confidence, and social connections. The higher profile the device, the more it perturbs movement, and sometimes kids reject such orthoses because of discomfort or unwieldiness. Starting with the least restrictive device and responding to subtle changes in children’s orthotic needs may improve outcomes and compliance. A normal gait is often the goal for children with neuromuscular disorders and mobility impairments, but research suggests this may come at the price of children’s positive self-identity. These issues are leading some practitioners toward more holistic, family-centered approaches to walking. Pediatric patellofemoral pain hasn’t historically received much research attention. Recently some experts have said it can have a long-term negative impact. New research suggests some basic solutions to the common yet often overlooked problem that can cause kids to drop out of sports.